Attending a course or U3A member? The University of the Third Age is a self-help learning organisation. 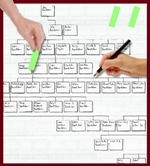 There are over 870 U3As in the UK including many that formed to further members knowledge of family history research. Customers attending a family history course or members of the University of the Third Age may be entitled to some extra special offers if their leader gets in touch with us. If you are a leader then please email sales@my-history.co.uk and request a course 'leaders pack' giving us your name, home address, name of the group, the location where the group meets and a rough idea of the number of people in the group. Here's a picture of our stand at the NEC. It was a great three days serving hundreds of new and loyal customers. We hope everyone who went enjoyed themselves (we certainly did) and hopefully we will see you next year. Ancestry have Emailed us this morning announcing the Retirement of Family Tree Maker Software, Here is a copy of their message. Ancestry is proud to have made a significant investment this year to bring valuable new content and records to the Ancestry site. In 2015, we've made 220 million searchable historical records from Mexico available, more than 170 million pages from the largest collection of U.S. will and probate records, among others. We've also introduced new features such as Ancestry Academy, and major advancements for AncestryDNA. As we strive to provide our customers with the best experience possible, we are constantly evaluating our services and product offerings. True to this focus, we've taken a hard look at the declining desktop software market and the impact this has on being able to continue to provide new content, product enhancements and support that our users need. With that, we've made the tough decision to stop selling Family Tree Maker as of December 31, 2015. We will continue to support existing Family Tree Maker owners at least through January 1, 2017. During this time, all features of the software, including TreeSync will continue to work. Our Member Services team will also remain available to assist with questions or issues you may have. 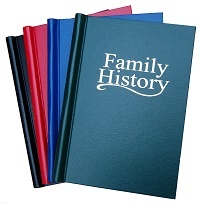 Here at My History we are recommending customers to move over to Family Historian, which has been independently reviewed as the number one genealogical program. For anyone who has their family history online with Ancestry and does not want to continue with their subscription, now is the time to export your GEDCOM file ready to import into your home computer genealogy program. Doing this you will avoid the need to maintain a monthly subscription to any online provider and allow you full control and privatisation of your important data, to your home pc. For those of you that have images online with your ancestry account that you would like to retrieve email us separately for assistance and advice as this is something we may be able to assist you with for a small fee. Fantastic news. Our friends at find my past will be launching the 1939 on Monday 2nd November. Our friends down under at 'Unlock the Past' have just announced two more possible cruises for 2017 and 2018 so the complete line up of cruises at the moment is as per the list below if you fancy a winter break with some sunshine and genealogy mixed in. For more information on any of the above please click here to go the cruise information page at Unlock the Past. View the other celebrity dates for the 12th series. We are pleased to announce a large increase in the Unlock the Past booklet range we publish in the UK on behalf of Gould Genealogy - Australia. The Unlock the Past range includes many booklets on specialist subjects ranging from Irish Land Records through to help with understanding the migration of UK citizenns to Australia. This new banner will hopefully help customers find us easier. On 1st February 2015 My History is changed from 'Sole Propriertor' to 'limited company' status. 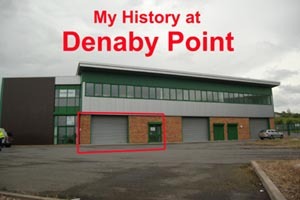 On Monday 18th June 2012 we completed our move to larger premises at Denaby Point. We now have three times the space we had at Mexborough Business Centre and as many visitors will remember we were very cramped during our time there and even more so towards the end when we had stock stored out in the corridor. We even had the loan of an old disused kitchen to store our exhibition displays. Thankfully we now have everything in one place and we have made a start on creating a better display area for visitors who wish to come and buy from us. We also have a dedicated area for chart printing and a great display of printed charts in our entrance foyer to inspire and encourage you when it comes to sharing your research with other members of your family. Graham and Jill Hadfield are to retire from the genealogy supplies market but they say that they will now be able to spend quality time on their own family trees. 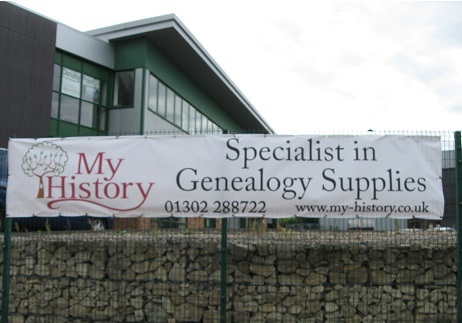 Tony Beardshaw of My History explains that until now his business has always concentrated on resources for experienced genealogists who wish to record, preserve or print and publish their family stories. However he has always been aware of a need to be able to supply genealogists with a range of data that encourages a more in depth study of their ancestors lives. The JiGraH range built up by the Hadfields contains over 240 data CDs covering trade directories, county guides, street maps and year books from England, Scotland, Wales and Northern Ireland. To build on the hard work of the Hadfields, My History has commissioned a new book scanner to enable the continued scanning of directories and they already have a quantity of old directories waiting to be scanned and added to the JiGraH range over the coming months.